ARTIFICIAL INTELLIGENCE CEMENTS ITS TECHNOLOGICAL DOMINANCE IN THE GLOBAL GAMING MARKET. The evolving gambling market has been requiring high technology solutions to attract the attention of players, to retain their loyalty and to stay competitive. 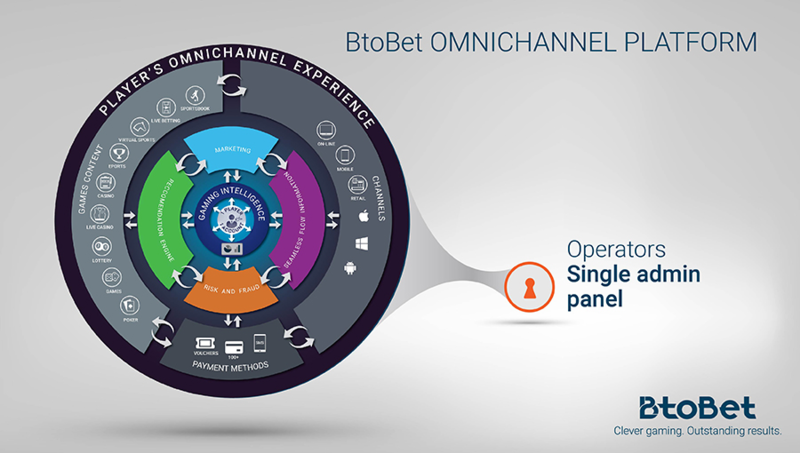 The Artificial Intelligence has been confirmed to be crucial for the industry during this year and BtoBet is ready to export its cleaver platform worldwide. After its first presentation to the iGaming industry during ICE London, Btobet’s B Neuron platform had obtained an incredible success and acquired an excellent reputation within the global gambling market. The first appointment will be in Rome, from the 4th to the 6th October, where BtoBet will showcase its technology and performing A.I. platform at the Italian Market during Enada exhibition. The company will than move to EIG Berlin, from the 18th to the 20th October, where BtoBet’s CEO Alessandro Fried has been invited to present the features of its high technological platform – B Neuron– in a dedicated panel about Artificial Intelligence. Additionally, BtoBet’s testimonials will proceed expanding out of Europe, in South Africa and right after in South America. In Cape Town, during the Big Africa Summit – South Africa, from the 24th to the 26th October, Fried will discuss about the new market trends together with other influent representatives of the Gaming industry from Africa and Europe. Double appointment for BtoBet in November, at SIGMA Malta, from 16th to the 19th, where the CEO will be speaker about the importance of the Omnichannel in the sports betting, and big return in the LATAM industry – after Fadja in Colombia, last April – at SAGSE Buenos Aires from the 15th to the 17th November. Here, BtoBet will be giving a live demo to illustrate the advanced features of the platform to the growing South American market.